Have you ever wondered how long do brake pads last? Brake pads are small but crucial to the performance and safety of your vehicle. Brake pads are the most important part on your car. Even the fastest, most expensive sports cars are worthless without good brake pads. 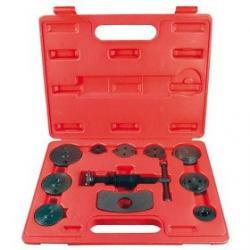 Brake pads work by clamping down on the brake rotors when you press on the brake pedal inside your car. The pad causes friction against the rotors, capable of slowing the car to a complete stop. 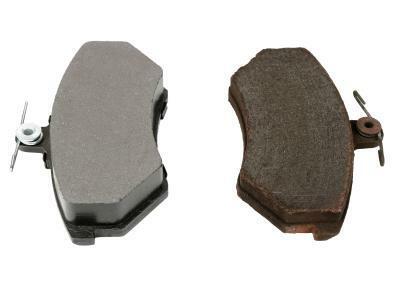 After thousands of miles of friction, the brakes pads become worn down and thin. Once the pad is too thin or gone, there is nothing left to cause friction, making your car extremely dangerous to drive. Brake pads are equipped with a wear indicator. Once the brake pads become thin, the wear indicator will alert you. There are different kinds of indicator sensors. Some are electrical or digital but many vehicles have a metal indicator. This type begins to rub against the metal rotors, causing a loud squealing sound. Ignoring this sound means the metal wear indicator continues to rub on the rotors. Eventually, the wear indicators rub grooves into the rotors, making them unsafe even with new brake pads. The entire braking assembly must be replaced at this point. How Long Do Brake Pads Last For Your Car? So, how long do brake pads last for most vehicles? Normally, it depends on how you drive. If you are heavy on the brakes, your brake pads will last less time than someone with a light foot on the brake pedal. Brake pads can last for tens of thousands of miles, but replaced at the first signs of wear, which is the squealing sound of the wear indicators. However, keep an eye out for vehicles where many customers report regular brake pad problems. There are occasionally vehicles on the market where the brake pads wear excessively after only ten thousand miles or so. This is sometimes related to faulty engineering or manufacturing processes, and often those problems don't show up until enough customers experience them. Also keep in mind that there may be no recalls for such a problem because the excessive wear doesn't cause a safety issue. The only problem it causes for car owners is buying and replacing the brake pads more often than they would have to for other vehicles. Before buying brake pads, make sure you know the year and trim level of your vehicle. Often, vehicle models come in various trim levels, and the brake pads may be slightly different for each. There are several different materials used to make brake pads for vehicles, including metal, ceramic and man-made organic materials. Braking performance is generally the same, although slightly better using ceramic materials, so check the prices before you make a purchase. The Auto Parts Warehouse offers several choices for many different vehicles. The site offers direct replacement pads, which are exactly the same fit and type as the original brake pads. There are organic brake pads made from man-made materials, which offer a green choice for the environmentally conscious. This site offers several different types of brake pads and offers a guarantee that they will beat the price of any other online store. Parts Stores are available in almost every town and city. This option is good if you want to change the brake pads yourself or buy them and have a local mechanic put them on for you. Your local dealership may be the best choice if you don't want to change the brake pads yourself. The dealership probably has the pads you need in stock and can change them in a matter of hours. This may also be the most expensive way to have your brake pads changed since typically dealership prices are higher than online and parts stores. Brake pads for your vehicle are important. Listen for brake noise and have the pads checked or replaced as often as necessary so that your drive is always safe. For more information about car repair, make sure to check out the following LoveToKnow Cars resources.